1. What type of hazards are you dealing with? The types of fire hazards in your home or business will help determine what type of fire is most likely to break out. 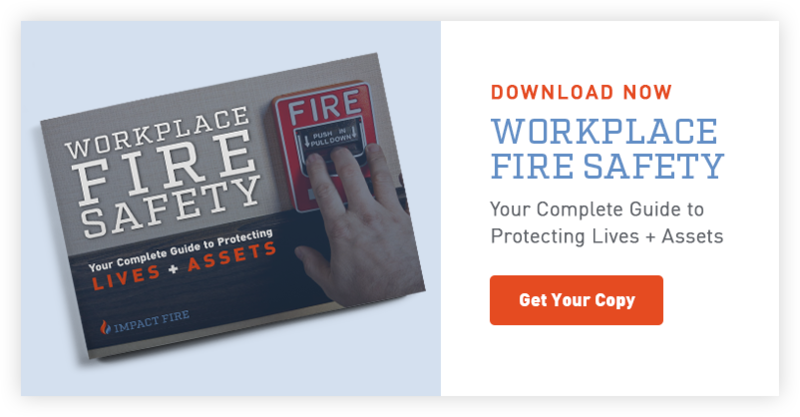 In the majority of situations, fire hazards are ordinary combustible materials, flammable liquids like oil or gas, or electrical appliances and tools. Fire extinguishers are classified based on what specific type of fire they are able to put out. 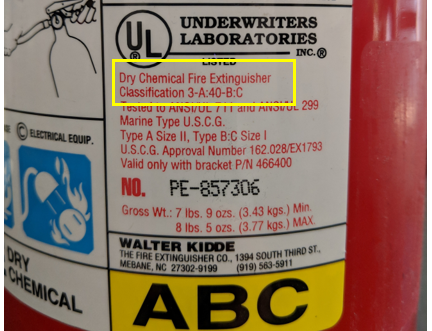 Older fire extinguishers have colored geometrically shaped labels that indicate their classification, while newer extinguishers are labeled with pictures that show the types of hazards they can be used to extinguish. Many extinguishers that are rated for home and office use are multi-purpose, meaning they are appropriate for classes A through C.
2. What is the UL rating? Also located on the fire extinguisher label is the UL rating. All Fire Extinguishers are tested by the Underwriters Laboratory (UL) for safety and performance.These numerical ratings allow you to compare the relative extinguishing effectiveness of various fire extinguishers. In other words, the numbers show how much of the fire can be put out by the extinguisher. The UL rating is broken down into Class A and Class B:C ratings. The number beside the letter A ranges from 1 to 40. This is the water equivalency for this extinguisher, where 1 equals 1¼ gallons. For example, 4A means the fire extinguisher is as effective as 5 gallons of water. The numbers before B and C are a measure of the amount of square feet the fire extinguisher can put out. For example, a 20:BC fire extinguisher can extinguish a fire over 20 square feet. C indicates the extinguisher is suitable for use on electrically energized equipment. The extinguisher in the photo above has the equivalent of 3.75 gallons of water and can extinguish a fire over 40 square feet. Fire extinguishers need to be large enough to effectively put out an incipient-stage fire, but not so large and heavy that they become difficult for the average person to use. When selecting the right size extinguisher, it;s also important to keep in mind the size of the room, and how quickly the fire could spread given the hazards in the immediate area. 10-pound: Best for commercial spaces, warehouses, and areas such as garages or workshops where there may be more hazardous materials. Remember, no matter what type of fire extinguisher you select, the most important factor in the extinguisher’s effectiveness is knowing the correct way to operate it. Be sure to train yourself and your employees on how to properly put out a fire using a fire extinguisher.